Now I have added another SSD to my computer which is a 240Gb. I do not have any other storage media at hand at the moment (e.g. external hard drive). How can I safely move my linux installation to the new drive? I can change the SATA cable so the new drive shows as /dev/sda if necessary. You can use CLONEZILLA for this purpose. Clonezilla is a free partition and disk imaging/cloning tool which can be used to backup all your data (whole disks or partitions) in a highly compressed way and later clone it back to your hard disk to get it into exact same condition. This is faster than installing the OS most of the times. Make a bootable (Live) USB using Tuxboot 7.0. Boot from the created Clonezilla media. Create an image of only '/' (saveparts) and clone it to any partition of your other SDD. Create an image of the full disk (savedisk) and clone it to your new SSD. In your case you can use the "device-device" option too, but I am not familiar with it. It can be done in a few ways. But the easiest one is to just copy all files from the old drive to the new one. Create an ext4 partition and a swap partition on the new drive. Mount the old Ubuntu partition to some directory, mount the new one to some other directory. Copy all files from the old one to the new one using cp -a command. Install grub to the new drive. Update /etc/fstab with new UUIDs. If something is not clear, I can add some explanations. sync synchronizes the offsets if an error has occured. This will basically create an image of you disk sda and write it onto sdb (same partition layout etc.) Ofcourse this'll write the whole 120GB as it's file-agnostic. Thus very safe, but not the fastest, if you only use small portions of the disk. However if the input disk is rather full it might even be faster. After that you probably want to resize the partitions as otherwise you cannot take advantage of the extra space. In any case it might be needed to edit the /etc/fstab file. This is the case if Hardware-IDs are used to recognize the disks. Unlike the other answers this allows you to clone the Linux installation and have it added to Grub menu with your current installations intact. Additionally it automatically modifies /etc/fstab for you and updates grub boot menu. 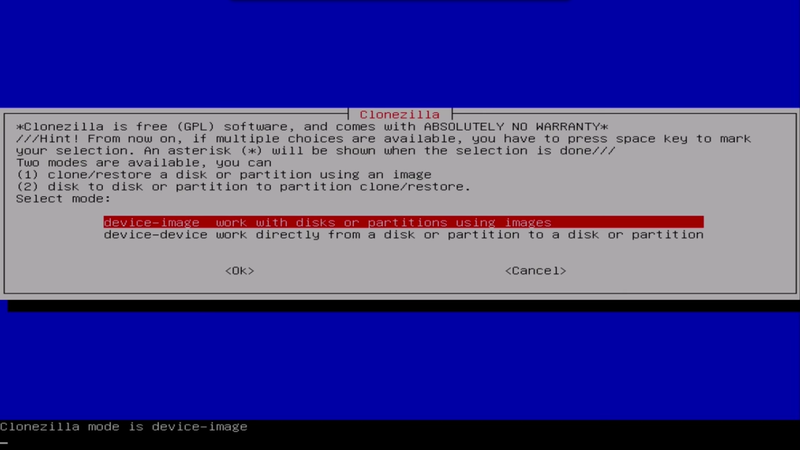 A menu is provided to help you select the correct partition to clone to. The clone from partition is your current booted partition. rsync is used for optimal speed should you choose to reclone the partition. This is beneficial if upgrade fails, you wait for bug fix and want to run upgrade again. Similarly you may have chosen wrong options during upgrade and want to do it again. boot from Live CD/USB or install, rescue etc. Not the answer you're looking for? Browse other questions tagged backup dd or ask your own question. how to reinstall ubuntu on its own disk? Which tool to backup an ext4 partition? Can I backup my entire Ubuntu installation to ISO DVD? GNU ddrescue imaging results — 116 errors a lot?